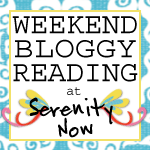 Serenity Now: Thrifty Treasures & My 200th Post Giveaway! You managed to find some very cute things too! Hi, Amanda, congrats on your giveaway! Thank you for being a faithful participant in my Monday party. And how fun that you found that same white SL tin, love to score those pieces at a discount. Absolutely, enter me in your giveaway! Looks like a great book. Your pumpkin house is so cute. But I'd like to win! Great SL find! Lucky girl. Oooh, I like that tray. Cute!! Thanks for visiting my blog. This thrifty blog party is too fun! Congratulations Amanda on your 200th post and great finds!! Can't wait to see what you do with them all! I love that pumpkin! Would love to be entered into your giveaway! Looks like a great read! I LOVE each and every thing you found while thrifting. Whenever you find SL things you know you have made out GREAT!!! Congratulations on your 200th post! I would love to have a chance to win that book....it looks great! You found some great bargains. Love the tray. Congratulations on 200! Please enter me in your givaway! I love the suspense! That pumpkin is adorable. Hardly seems like summer is here and fall is right around the corner. Love trays so that's a nice one. Congrats on your 200th post! That pumpkin is so cute! And a yes for me about the give away and I am now a follower. Now, about TTT's. I love the tray and the pun'kin lite is too cute. Congrats on your 200th post ! I love your finds this week and my fav is that tray too - I love it when we find them PERFECT ! I realize that my chances of winning your SECOND giveaway is very slim, but I'd like to give it a try!!!! It looks like another good book. :) And, I could use all the help I can get! Hey Sweet Amanda! Happy 200th sister!!! Here's to 200 more. Looking forward to everyone of them. And I love your finds today too. Have a great week. oh great finds again! I love showers :) and that tray will be gorgeous, I am jealous!! Love your finds!! All of them! So fun! Ok, my little heart skipped a beat when I saw that book! Ohhhh, I want-a-that-a book! I am now a follower...so glad I found you through 4re! Also, that pumpkin house?! LOVE IT! Worth every penny of those $6. Congrats on your 200th and thanks for stopping by to see me! Hey thanks for coming by! You got to see my son's bongos! 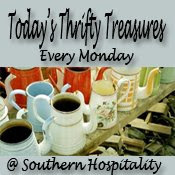 I now have my Thrifty Treasures posted if you want to view that too! I love that tray, so classic and such clean lines. Can't wait to see pics of what you do with it. Congratulations on your 200th post! What an accomplishment. Love all of your finds especially that tray! It's sooo cute! Congrats on 200 posts!! Awesome! Congrats on your 200th post. What a great giveaway . . . I have not heard of the book but am intrigued by it. Love your thrifty finds too! Oh, and I am now a follower of your great blog! Great finds! I love the Southern Living tin. Congratulations on your 200th post! I think that book sounds great. Count me in. I love that pumpkin. I bet you'll find a lot of uses for that tray too! Happy 200th! I LOVE the pumpkin! Send it my way when you get tired of it. In the meantime please enter me in your giveaway. I AM a follower. Congrats on 200 posts!!! I absolutely love that pumpkin! It gets me excited for fall decor. Can't wait!! Oh, that book looks fabulous! Definitely enter me in the giveaway! just found you from the nesting place . .and aren't I lucky. . you are having a giveaway . .I would love to read that book. . right up my alley . .as my blog is called The Intentional Home. :) I will be back to read more. . thanks. What a cute pumpkin!!! Your giveaway...awesome read! I found you from Rhoda :-) first visit today. I would love to win the book, it is a whole new perspective to me. I have been concentrating on making our home cozy with furniture and color....but never considered aroma! hope to hear more on the subject. and i love the bunny, nothing like a huge warm cooking with ice cream on top!!! Fun giveaway! Enter me, please! Oooh, please enter me in the giveaway!! This sounds like such a lovely book! Even if I don't win, I'm gonna copy this down and buy a copy! :) Congrats on your 200th! Congrats to one of my best blogging buddies on her 200th post!!! That book looks like a great read! Congrats on your 200th!! 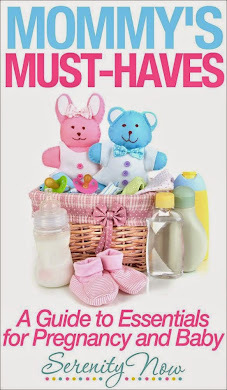 As always, awesome finds and deals! I'd love to win the book! Who couldn't use a little more aroma of love in their home?! Congrats on your 200th! I love that pumpkin, but then I love anything to do with Fall! I told you this today, but I will say it again, I love your blog and I read every day! :) I am pretty sure I am a follower too. Hi Amanda! I'd love to win. Sounds like a great book! I love all your finds! The tray is really nice. I’ve been looking for one like that but have just not seen one yet. Stop by my blog to read my most recent “funny” Goodwill story and share one that you may have. I’m going to compile them and post them all together for everyone to enjoy! Hello Amanda - congratulations on your 200th post! Thank you for the chance to win such a great giveaway. Love your finds, especially that tray! Oh, and you already know I'm a happy follower! Congrats on your 200th post. Thanks for the opportunity to register for your giveaway. I've also added myself as a follower. Please come over and visit my blog as well. Way cute finds!!! And congrats on 200th post...enter me please,and of course I am a follower!!! Have a wonderful Tuesday! I always love to read your postings...count me in on your giveaway! Great finds! Thanks for letting me know about your give away. I'm now following and would love to be counted in on this one! Congrats on 200 posts! The book sounds great! Would love to win it! Congrats on 200 posts!! I've been looking out for Southern Living items, too. You did well this week -- I like your tray also. Please enter me for the giveaway, that books sounds right down my alley. Creating a home that is a haven is my passion. I'd love to win ... found your blog by following a link from Southern Hospitality. I'd love to win a copy of Family Fragrance. Thanks for the opportunity, and congrats on your 200th post! how could you not love the pumpkin? and, of course! i'd love to win a copy of family fragrance. you have a great blog, great entries. Congratulations on 200 posts and super cute finds - I wouldn't have been able to turn down the pumpkin either! You've gotten quite a lot of interest in this giveaway. I'd love to be included. Sounds like a great book I know I need to work on the "O" part of the AROMA everyday before M comes home. Loved your pumpkin house. Congratulations on your 200th post! Definitely "not too shabby"! I've never heard of the book you're giving away, but the principles certainly sound like they're ones I'd be interested in. Thank you for doing a giveaway; it's very kind of you. I'd love to be entered. All the best as you continue to do a great job with your blog! I have always tried to make our home as warm and fuzzy as possible. This looks like a great book just for doing that.